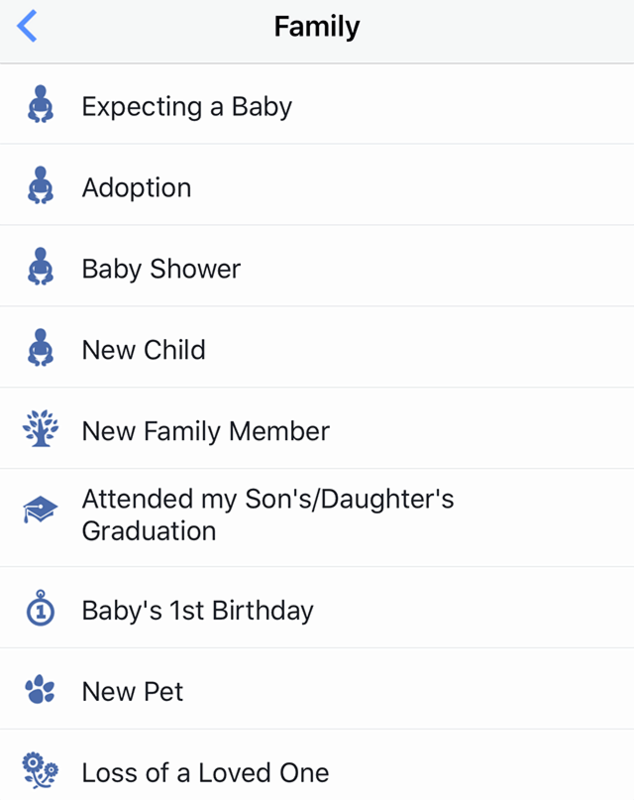 Facebook’s Life Event feature allows users to highlight major events in their lives, such as when they got married or had a child. Our guide will show you how to share a life event in a Facebook News Feed post. 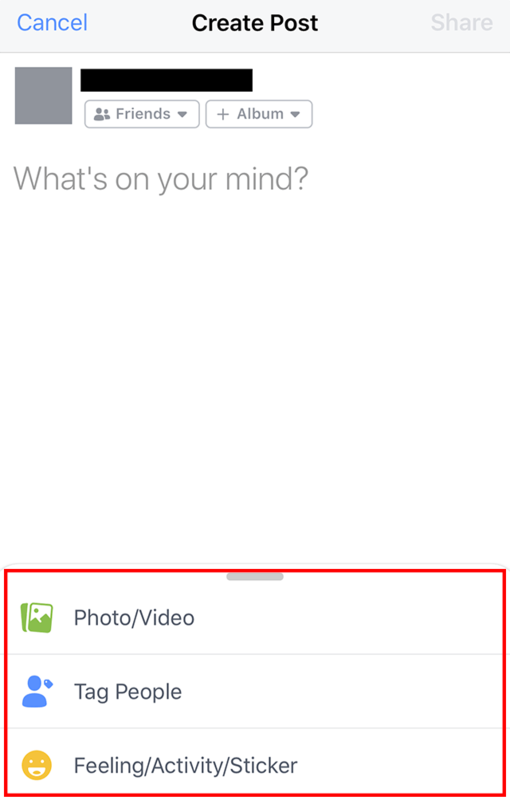 Step 2: Swipe up on the post options at the bottom of the screen to expand the menu. Step 4: Tap one of the suggested life events to add it to your post. 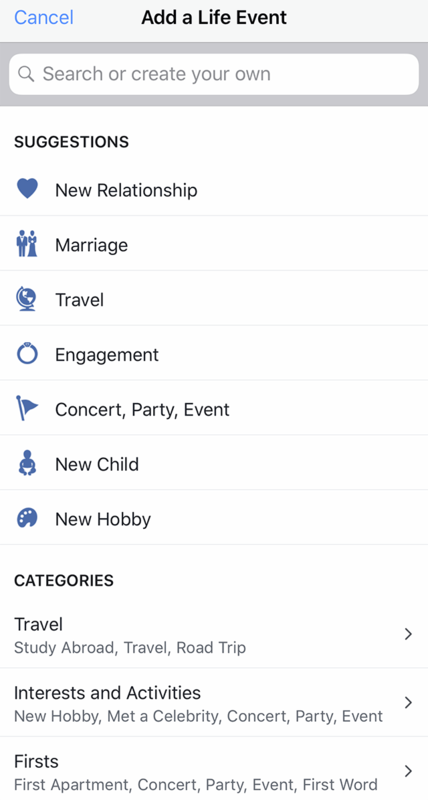 Or, tap one of the life event categories, like “Travel” or “Family,” to see the events in that category. You can also tap the search bar at the top of the screen to search for an event manually, or to create your own life event. Step 5 (optional): If you tapped one of the life event categories in Step 4, tap one of the life events in the category to add it to your post. You can also tap the left arrow in the top-left corner of the screen to go back to the previous page, where you can select a different category, or tap the search bar to search for an event or create your own. If you decide to create your own life event, follow Steps 1-3 above, and then complete the following steps. Step 1: Tap the search bar at the top of the screen. Step 2: Type the name you want your life event to have. Step 3: Tap the event you’ve created. 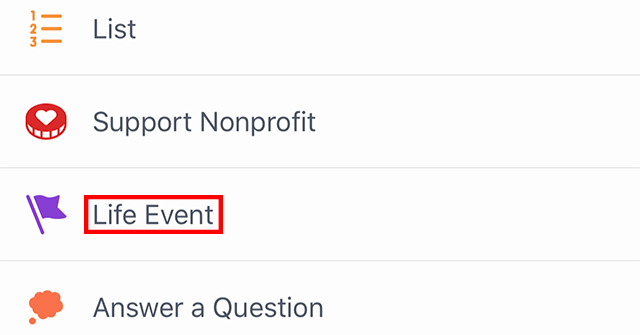 Step 4: By default, the event will have a flag icon. Tap one of the icons to change it. Or, tap “Skip” in the top-right corner of the screen to keep the flag icon and add the event to your post.